The swim parent lifestyle is a soggy, herculean and often thankless one. There are all of the early morning practices, the weekend-long swim meets, the fundraising, helping with the board, chaperoning, the fees, the carpooling, and the food, ohmagod, all the food. And most importantly, there is the most fundamental and irreplaceable role you have as a swim parent: cheerleader and support staff to your little athlete. 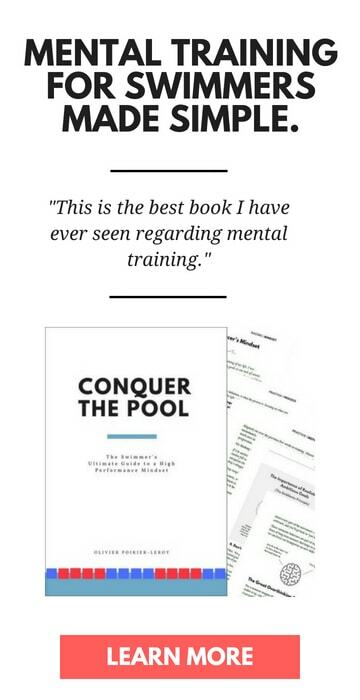 I get a lot of emails from parents who want the best from their swimmers, for them to enjoy the process of improving, but are often unsure what to do. It’s an awkward two-step of wanting to encourage their kids to be better, but to be better without having to be necessarily pushed. Some recent research on elite athletes have shown that top performers have parents (and coaches) who are supportive, but who still allow the young athletes to own their sport and subsequent performances. At the end of the day you want swimming to be your swimmer’s sport. Their thing. 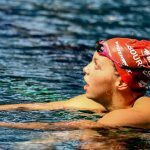 Let them take ownership of the sport by letting them have their own goals, and encourage them to evaluate and track their workouts to further instill a sense of control of their swimming. 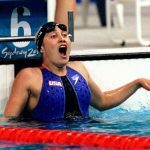 If they have their own reasons for swimming and showing up every day to work hard they are going to be more intrinsically motivated to stay (and succeed) in the sport. 2. 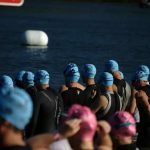 Avoid over-identifying with your swimmer’s performance. How they swim isn’t a reflection of you. 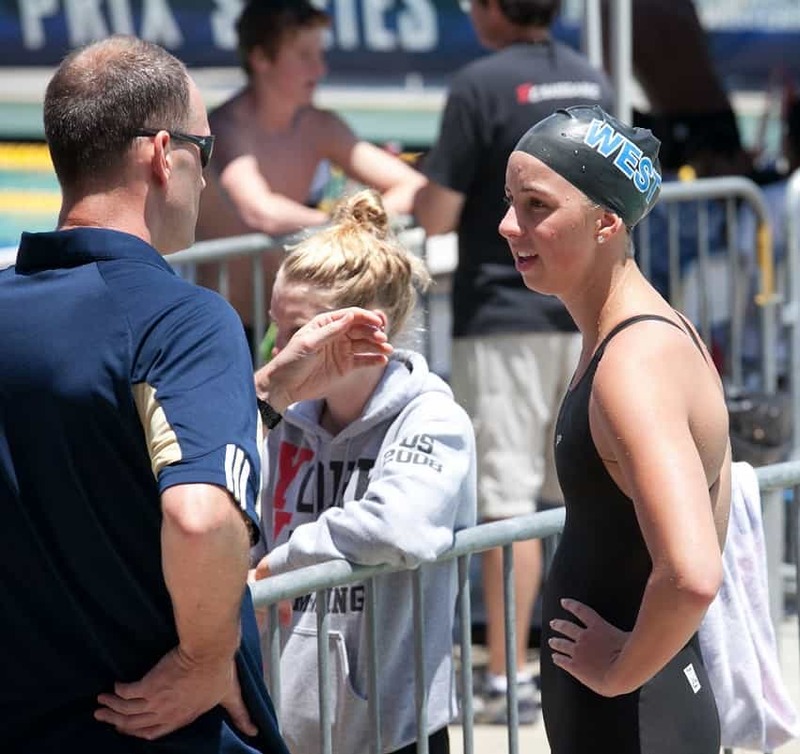 Don’t fall down the over-identification trap where your child’s swim performance is a reflection of you, leading you to ignore how they feel about the sport and focusing on your feelings. Taking the burden for their swimming also removes accountability on your swimmer’s part. The more likely it’s their thing, the more likely they are to be successful. If they are getting better, and learning the process of mastering something they are learning and benefiting far more than just having a win-at-all-costs attitude. 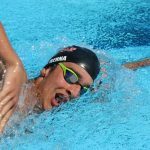 It’s what they do every day—mastering the process of becoming a better swimmer—that matters more than what they do at meet-time. A swimmer who is able to master the grind will always outperform an athlete who magically shows up at meet time. 4. Set the standard for how they should react. These parents not only tend to end up bumping and spitting all over nearby parents and swimmers, but also provide a classic example of poor sportsmanship and set a low standard of self-control for their own swimmer to emulate. 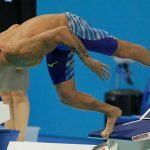 It is contradictory and confusing for children to be told to have self-control, to stay calm and focused in moments of high pressure when their parent is screaming at the coach and losing their chlorinated mind from the stands. At the end of the day you are your swimmer’s strongest role model. Not the swimmer on the Wheaties box. 5. Don’t mistake sacrifice for investment. Swim parents are absolutely unbelievable in terms of sacrifice. They spend a metric ton of time, energy and money in helping the sport go round. From all of the time spent organizing fundraisers, driving back and forth to the pool, countless swim meets, hotel rooms, flights, and more we sacrifice a lot for our swimmers. And so it’s tempting to have this sacrifice sometimes blur into a sense of investment, causing parents to expect measurable dividends of some sort (college scholarship, sponsorships, etc). Swimming (and sport in general) isn’t something that can and should be measured in terms of dollars and cents. The time spent in the pool now shouldn’t come with a balance sheet later. The gold medals they don’t win today still translate into healthy lifestyle choices they carry with them for life. 6. When issues come up with coach, address them privately and directly. 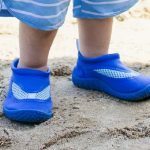 There will be times where as a swim parent we have questions or concerns regarding our kid’s swimming. Over the course of a swim career this is unavoidable. 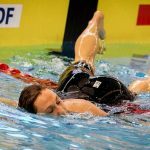 Maybe your swimmer hasn’t improved at all in a couple months and we’d like to know more about why this is. Or perhaps she is being held back a group. Or you have questions about the plan for the team. Too often when a parent has an issue with coach they will sit in the stands gossiping and complaining to other parents, which does nothing but create a divisive environment for all involved. Set a time to meet with the coach that you can talk distraction-free (blindsiding them on the way to their car after practice doesn’t count). 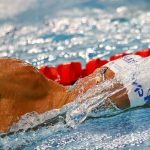 Undermining the coach, whether it’s giving contradictory technique and training instruction out of the water, only serves to confuse and put your little swimmer in a place where they have to choose between listening to you or coach when they are at practice. In ideal situations, parents parent, and coaches coach. 7. Let them unplug outside of the pool. Swimming isn’t and shouldn’t be the only thing in anybody’s life. Once they leave the aquatic center in the morning or at night-time they should be able to leave it behind. Constantly having to rehash practice or meets in the car, at home, and over the dinner table is mentally exhausting. Have some perspective about where swimming truly ranks in the scheme of things. Being a great swimmer is cool, but being a young person with enough perspective to realize that its just a race or just one practice is even better. 8. The facilities don’t make the athlete. It’s natural to want the absolute best for our swimmers. The best coaches, the best facilities, the best of everything. But removing all obstacles in their talent development ends up having an unintended consequence: an inability to deal with adversity later on in their careers. After all, having been robbed of the lessons, humility and resiliency that comes from adversity means that when it does finally happen these athletes have a hard time adjusting. Being on a star-studded team doesn’t guarantee success. Just like how training out of a dark, cramped 22-yard pool doesn’t promote failure. The lessons and skills can be and are picked up in different environments and if anything, the “less than” athlete is going to be at an advantage when it comes to dealing with hardship. 9. Just be there for them. More than anything, your little swimmer just wants you to be there for them. To be a shoulder to cry on and to provide a moment of levity when they add time to their PB. To whisper words of encouragement when they are injured. To share the moment when they finally do succeed. Win or lose, all they really want to know is that their swimming, and by extension their identity, isn’t a prerequisite for you being there for them. Don’t make your love conditional on how they swim. All they want to know and feel is that first or last, whether they are world record holder or local sharks-and-minnows champ, that you will love ’em. 12 Things You Learn Becoming a Swim Parent. A look at the lighter-side of the swim parent lifestyle, from extravagant food bills to managing a house full of wet towels. The Research Behind the Mindset of Super Champions. Some fascinating research into what makes the top performers in sport stand above the rest.